Take the ambiance of a movie theater, load it with cardio equipment, and you’ve got a workout that’s cheaper than the actual movies. 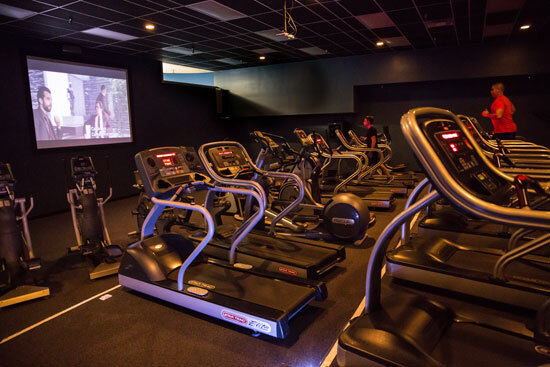 Each of our membership options gives you access to our in-house cardio theater that features 1400 square feet filled with 25 pieces of cardio equipment including, bikes, elliptical, and treadmills. The elevated levels allow everyone in the theater to enjoy the latest action packed movies designed to get your heart racing. All movies are PG13 or lower.